"We've had a young calf dropped through trees because he had his legs intertwined with tree branches." In Red Bluff, California, the Jean and Bill Barton ranch has suffered 31 cattle mutilations over the past decade. 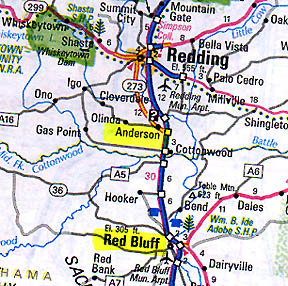 A few miles north, a rancher in Anderson, California, had cattle mutilations in 1999 and 2004. January 13, 2006 Red Bluff, California - For the past half century, unusual deaths that law enforcement call "animal mutilations" have been reported around the world. Both domestic animals and wild game have been affected, especially horses and cattle. Ranchers and law enforcement have long been puzzled because animals are found with the same pattern of hide and tissue removed ­ usually without blood ­ from the head, sexual organs, and vaginal/rectal area. There are no signs of struggle or tracks around the dead animals, not even the animal's own tracks. That peculiar fact provoked law enforcement long ago to wonder if the mutilators came in and out of pastures from the sky?